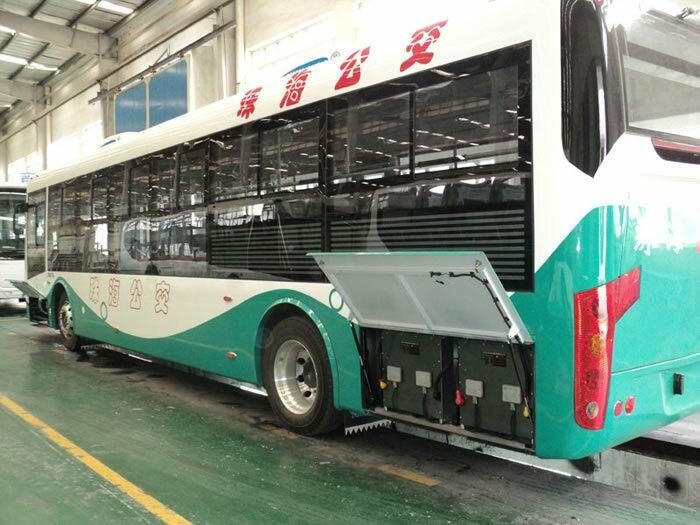 The electric bus GTQ6117BEVB, developed by Zhuhai Guangtong Automobile Company Ltd., is an excellent vehicle in the field of new energy and new power. 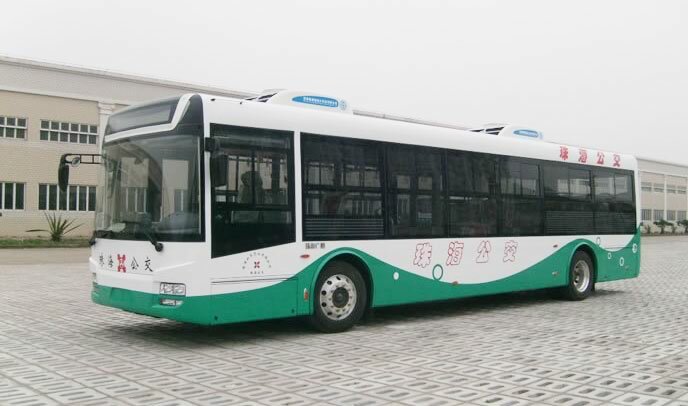 This electric bus uses many international advanced technologies and is 11.5m in length. 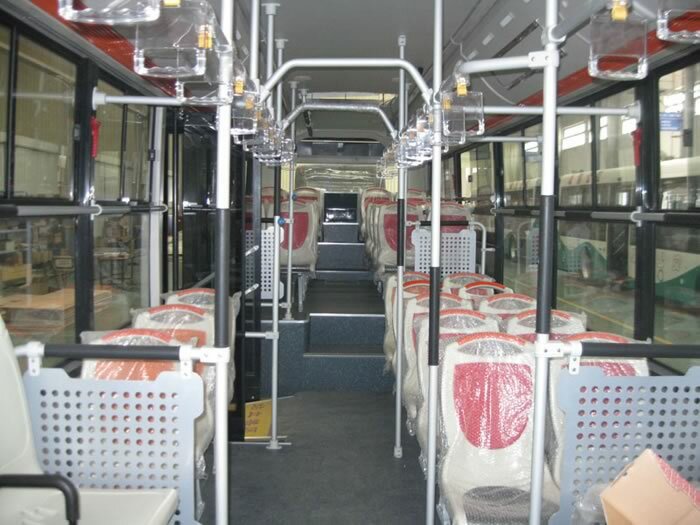 It follows the design concept of "people oriented, safety first, efficiency maximized". The vehicle has the advantages of zero emission, no pollution, stable and safe operation. Its overall appearance design gives people an energetic feeling and further follows the fashion trend in city. The wide front windshield and the rearview mirror greatly widen the driver's view. The front, rear and side electric bus route panel clearly shows the route of the vehicle. The inner space featuring maximization design has good sound-proofing and heat-proofing effect. 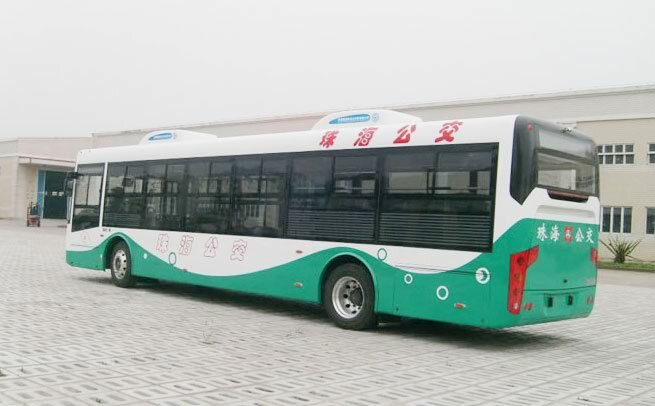 Using the Li-ion batteries featuring large capacity and high security, the electric bus makes its driving range more than 250km. Its cost is less than one third that of similar petrol vehicles. Its highly intelligent charger can automatically and constantly output the charging current. The electric bus can be 100% charged in four hours and can drive for 100km after being charged for one hour. Our vehicle has an intelligence control system which has the functions of DC output short circuit protection, battery overvoltage and overheat protection, etc. The color LCD monitor is used to observe the information about the battery. The monitor is small and exquisite, has beautiful shape and complete data, for you to read the electric quantity of battery and know the information about a single battery at any time. It has a failure display function and more. The effective energy conversion rate of electric motor can be over 98%. The motor has stable performance, sound accelerating ability and only takes 18 seconds to enable the electric bus to drive at the speed of 50km/h after starting. The battery can be charged during the deceleration process. The installed electric air conditioner has the advantages of powerful refrigeration and ventilation ability, which can save more than one third energy compared to the original air conditioner. 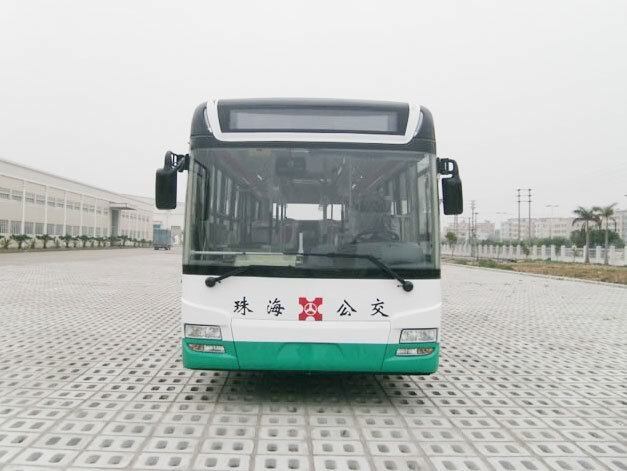 It can lower the operating cost and lengthen the driving range of the electric bus. 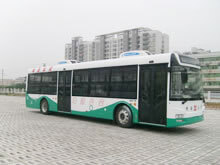 The electric bus uses the ECAS system to realize the height adjustment of the vehicle and many other functions. 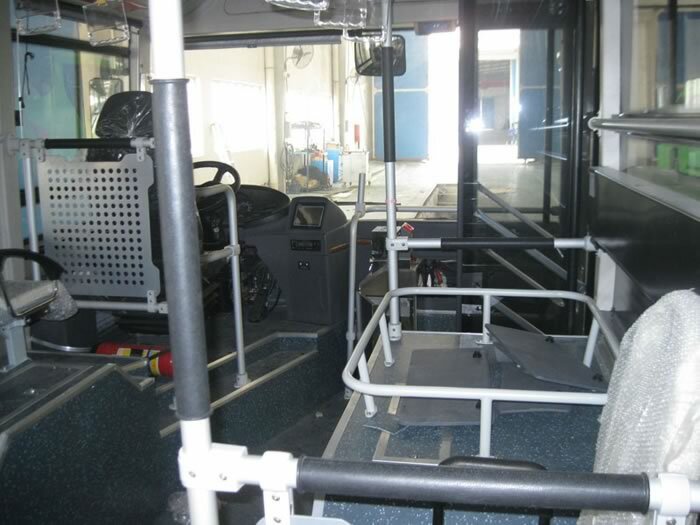 The vehicle can be equipped with a pedal for the disabled to facilitate them getting on and off the bus. 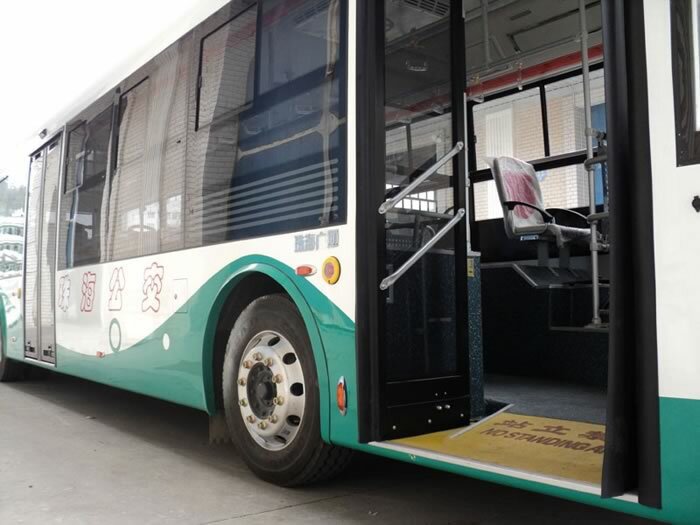 The aluminum body skin can be used to further smooth the vehicle body, prevent the bus from rusting and increase its service life. Driving motor KAM280F650, efficient dual-winding three-phase asynchronous AC motor, rated 65KW/ peak 130KW, the maximum torque 2000N.m. Motor controller Rated power: 65kw/ max. power: 130kw, vector control. Suspension Air suspension F.2/R.4, Kneeling system with ECAS. Passenger door Pneumatic in-ward swing door, front double, rear double. 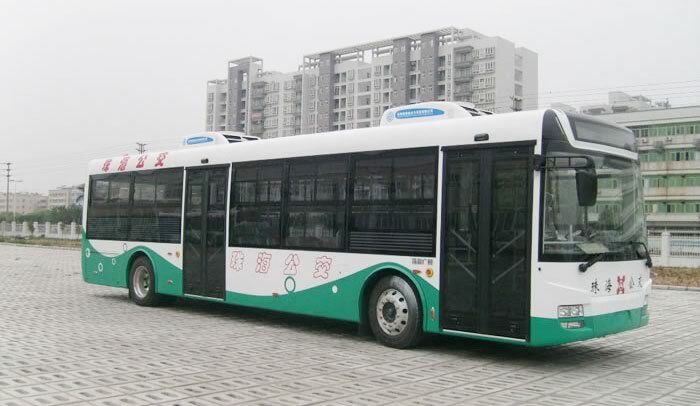 Guangtong is an electric bus manufacturer in China. We offer a vast range of products that includes our city bus, CNG bus, ambulance, tour coach, hybrid bus, luxury coach, and others. If you would like more information on any of our products, we welcome you to contact us at any time!